Well, it certainly will if you use those tiny cups the Japanese traditionally use. Like most things with sake there are a few myths and misunderstandings surrounding the presentation and rituals of sake consumption. Firstly, what are those little shot glasses and why use them? The cups in question are called o-choko. 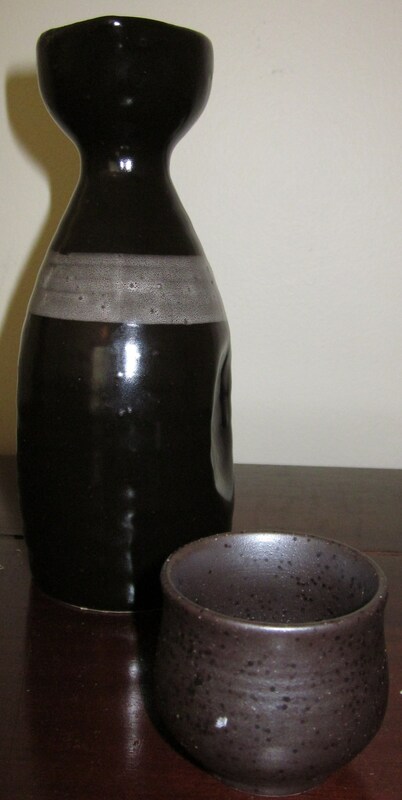 The flask used to pour sake is called tokkuri. The reason behind the small size cups is a social one. 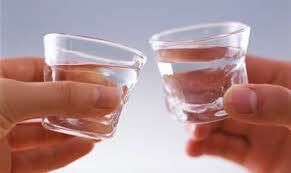 Traditionally in Japan it is considered impolite to pour one’s own drink. Therefore if you have a table of people sitting around drinking you will see each person taking turns to fill another’s cup. If the cups are small they will require constant refilling thus, creating a lively social atmosphere. The tokkuri is used for heating sake and if you aren’t drinking warm sake there is no need to transfer your sake from the bottle to the tokkuri just to then pour it in your glass. And while we’re on the topic, just because it’s in a glass the size of a shot glass does not mean you should “shoot” it. Now, make no mistake if you have ever been to Japan and found yourself drinking in this kind of situation you’ll know it really is quite a warm and friendly way to share a few drinks and it also helps conversation flow. However, I’m not Japanese and I’m not in Japan and I’m guessing most of you aren’t either. In that case there is really no need to follow this protocol. In fact, even in Japan in most sake bars this style of drinking is quite rare. Reason being, these days most people order sake by the glass and not the bottle. This is where our next drinking vessel comes in; the guinomi. Guinomi can be a little vague but it is simply a larger cup or glass. They can vary in size from not much bigger than o-choko to whiskey tumbler size or so. It can be made from glass, clay or ceramic (anything really) in any shape or design. 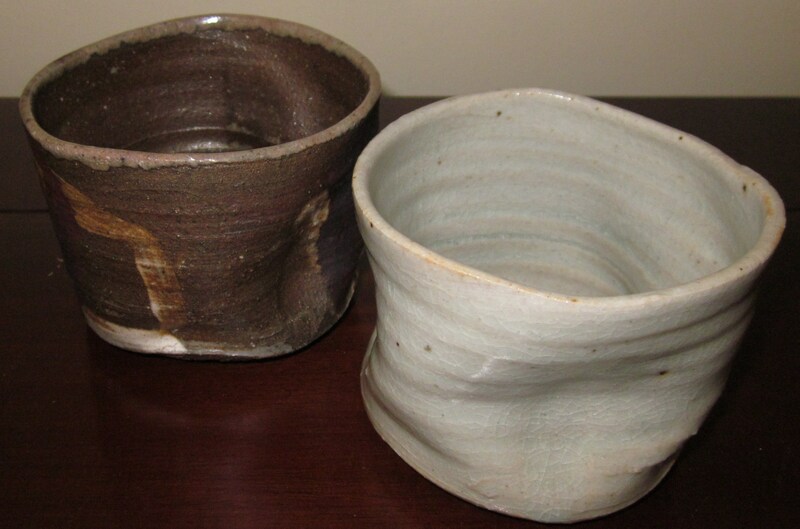 They can often be quite rustic in appearance and are actually my favourite style of drinking vessel for sake. You may have also seen those wooden (sometimes laquered) square boxes used. Called masu, these are made from cedar and are often used in ceremonies such as weddings for a bit of pomp, but seeing as the cedar tends to impart some aromas and interfere with the flavour of the sake they aren’t all that practical. They do look cool though. These days it is also quite common in some of the more fancy Japanese restaurants to serve sake in wine glasses. And why not? Simple white wine glasses can be excellent for capturing the fine aromatics of a ginjo sake. And the added bonus is, most people already have these at home. Renowned Austrian wine glass producer Riedel actually makes a daiginjo glass (unfortunately not available in Australia) that works wonderfully but is by no means a necessity. So never feel the need to put off drinking sake at home till you think you have the right hardware. It’s important to remember that when it comes to sake presentation, there are no rules. Even if you hear someone say in some Japanese restaurant that “this is the way it’s really done” – it’s not. It’s just their way. There are many ways to serve sake using many different cups and glasses and not one of these is the officially recognised “way” to do it. So, experiment see what works for you and for the sake you are drinking. You’ll probably find ginjo and daiginjo sake work well in the wine glasses and some of the less aromatic ones work fine in a guinomi style cup. There’s only one way to find out…. 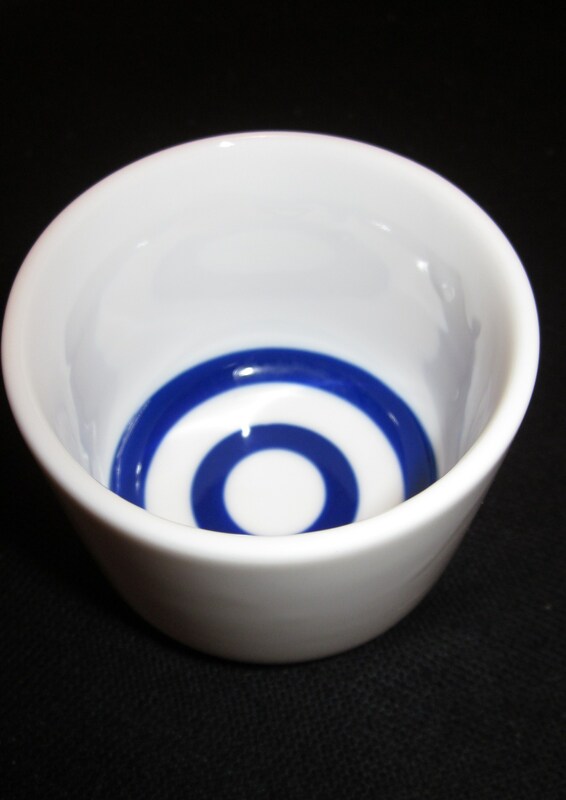 You may have even seen these janome (snake’s eye) cups before. These are used in official sake tastings in Japan. The contrast of the cocentric blue circles with the white helps check the colour and clarity of the sake. Again, fun but not a necessity. So, here’s the thing; I love wine. I also love beer. Quite a bit in fact. Everything has it’s time and place. A celebratory moment calls for Champagne. A cold beer on a hot summers day is hard to beat. And a glass of red in front of the telly on a cool evening is time well spent. So where does sake fit into all this? For most, the answer would be, when dining at a Japanese restaurant. While that is a good answer it isn’t the only answer. Sake unfortunately suffers from what I call “dining tourism”. This is the social phenomenon where people subconsciously feel the need to only indulge in certain beverages when they are consuming food from that beverage’s origin. You see it everywhere. Drinking Kingfisher beer in an Indian restaurant, margaritas and Corona in a Mexican, Guinness in an Irish pub, sangria in a tapas bar and of course sake in a Japanese restaurant. Wine on the other hand magically crosses all borders and is drunk anywhere there is food. So why not sake? Answer is probably because no one has tried it. Make no mistake, I believe all beverages have their limits. If you’ve ever tried sake with hot chilli or spiced food you’ll soon find its Achilles heel. However, beer with sashimi is just wrong and white wine with oysters is something I’ve never quite understood. There are some areas where sake will go just as well if not better than wine. I stand by that 100%. And that’s what it’s all about, finding that perfect food match or a match for the situation, the moment. Have a bottle of sake in the fridge (yes, the fridge) on stand-by and give it a go one day when you might normally have gone for wine or beer. You might be surprised at just how approachable and adaptable sake can be. Of course, there will be times when beer or wine will be the preference, but it doesn’t hurt to experiment and try something new. If you’re lucky enough you might become just as obsessed as me.